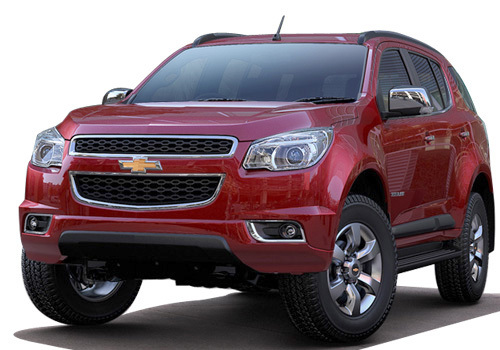 U.S. based car maker General Motors has joined hands with renowned online store Amazon to receive bookings for its up-coming SUV Chevrolet Trailblazer, the bookings will commence from October 21, 2015. With festive season around and increasing trend of online shopping American car maker speculates to make this SUV a huge success. According to company sources the buyers can also get their Trailblazer book through authorized dealers of company equally. Reported to be empowered with 2.8 litre, 4 cylinder, diesel engine churning the power of 197 bhp and torque of 500 Nm. the SUV would be mated with both six speed automatic and manual gear transmission system. In Indian car market the SUV would be brought through completely knocked down (CKD) route. Revealing his views on collaboration of General Motors with Amazon Mr. Arvind Sharma, President and Managing Director, General Motors India said, “The Chevrolet Trailblazer is a powerful car and it needs a powerful introduction. That’s why we are partnering with Amazon India, to change the way consumers can purchase a car. This is a first of its kind promotion for premium vehicles in the booming Indian e-commerce space and will enable us to create an entirely new and unique experience for Chevrolet Trailblazer customers.” According sources of General Motors the buyers will be facilitated to book their SUV at a “nominal booking amount” on Amazon and will can withdraw their booking with 100 percent refund of booking amount in case if they change their mind to buy it.